Way2Africa aims to provide a B2C platforms to its users. An estimate of the demand of the product in Africa and the rate of consumption is provided by this portal. Apart from this, Way2Africa provide a perfect idea of product pricing so that it becomes for the users to quote a good pricing to the importer. 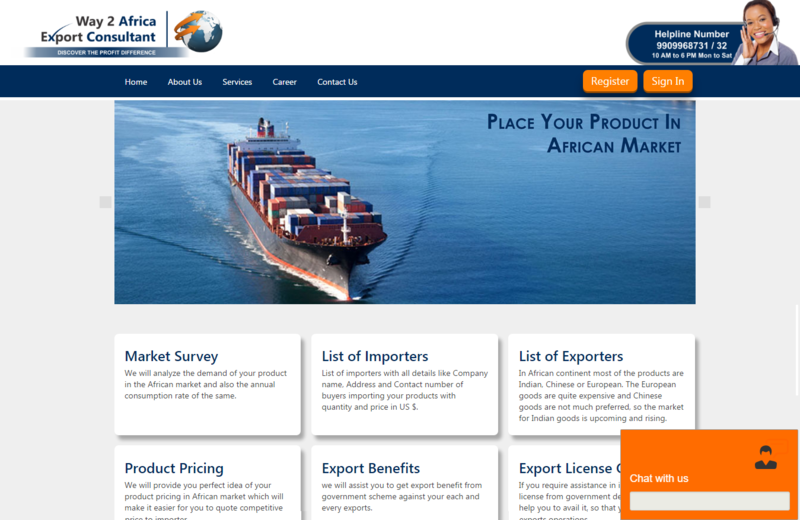 Also provided assistance for issuing export license so that the user can start his business in Africa. Main aim is to meet the demand of Indian products in Africa and also businessman of India take maximum advantage from it. 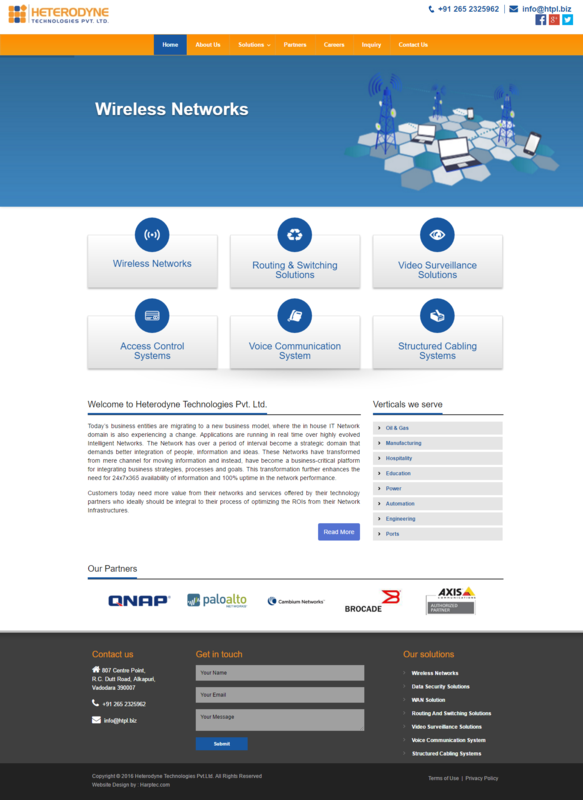 Harptec gave online presence to Heterodyne Technologies Pvt. Ltd.
Today’s business entities are migrating to a new business model, where the in house IT Network domain is also experiencing a change. Customers today need more value from their networks and services offered by their technology partners who ideally should be integral to their process of optimizing the ROIs from their Network Infrastructures. It is with this ideology of meeting these challenges and as an answer to fulfill your growing needs & demands from an IT Network; being associated with HETERODYNE TECHNOLOGIES PRIVATE LIMITED [HTPL], couldn’t have been more aptly timed. 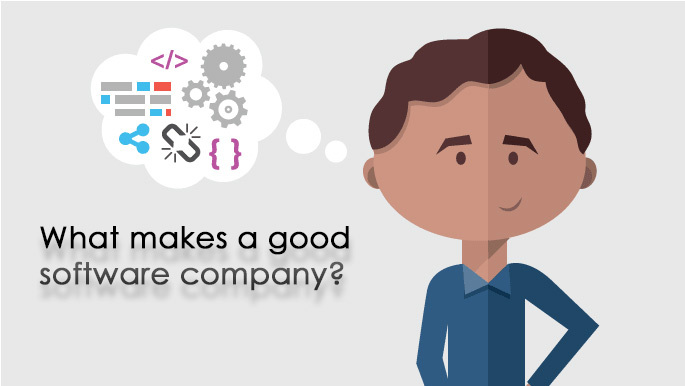 What makes a good software company? “Anybody can make a software!” This is what we commonly hear these days. So when you need help who will you turn to for transforming your ideas into high quality websites/web applications? This article focusses on the key features that a software company should have and what you as customers should expect from them. Expertise in both front end and backend development: There is a separation between web designing and web development but a good developer has to be good at both front and backend programming. A good developer has to be familiar with entire software development cycle right from the very beginning. Make sure they have expertise in multiple backend technologies: There are various good backend technologies that are frequently used like PHP, ASP .Net, Ruby On Rails, with many architectures like MVC, N-tier. Each technology has its own pros and cons and no technology is perfect in itself. An ideal IT company should not restrict itself to one technology. It should be flexible while choosing a technology and adopt one that best suits client requirements. Follow best practices: Just knowing the latest technologies does not make you a good developer. Technologies come and go at a fast pace but what stays is the way a developer follows the coding standards and practices. If a developer has good grasp over how things are done, he can get used to the changing technologies much easily. Think about the bigger picture: Sometimes customers may come to you with some unrealistic expectations or sometimes your client may have a good idea but may not have proper direction. It is the responsibility of the software developer to understand the client requirements and suggest them certain ways in which their ideas can be casted into a web solution. A developer is not a true developer if he blindly follows what the client says. Performs research and development: Whenever a client comes with a requirement, it is the responsibility of the IT Company to engage in research activities. They should refer to competitor sites and see what trends are being followed by everyone in the market. They should try and incorporate the latest practices and designs in their work. Has a team of rigorous testers: Nobody wants a product that has errors in them. A team of rigorous testers is necessary because they are professionals who can detect all defects and flaws and make their product as efficient as possible. Flexible: An IT Company should be flexible to any changes that come in the middle of the development process. Clients may have forgotten some point at the time of requirement gathering phase and may come up with a few additions after the development has begun. Good developers will not complain about it but he will behave professionally and handle client requests. These days they develop products and report weekly progress to the clients. After each sprint the client may approve it or may add some changes. They should be flexible to make changes. These are some points that I feel make a good software company. If you have any other opinion you may let us know in the comment section. Please do let us know how you liked this article. Why are soft skills important for IT professionals? Soft skills are certain attributes that a person possesses that enables him to communicate effectively. Soft skills revolve around an individual’s personal qualities. Soft skills are very important in the corporate world prominently for people working in the IT sector. Having strong technical skills never gets overlooked, but if an IT executive has some soft skills to complement his hard skills, it is an icing on the cake. IT field is expanding exponentially with time. It has spread to almost all functional areas of all business processes. With the growth of IT department in each field, the need for competent professionals who have the ability to communicate is increasing. Strong interpersonal skills and good reasoning were considered more important while appointing candidates. Effective communication - Communication is very important in an IT company. Many projects in IT reflect other domains. So it is very important that these IT functionalities are conveyed properly to the respective departments. Apart from this, there should be effective communication between the members of the team to ensure successful development of software. Work ethics - In an IT company often there are deadlines to be met. When there are exhaustive deadlines, critical decisions need to be made and work has to be prioritized. An IT professional should work hard on things that are of utmost importance. Compassion - The main role of people working in IT fields is to understand the problems of each functional area to come up with innovative solutions that will benefit everyone. Maintain relationships - Strong working relationships if maintained with different managers and other employees, the workplace becomes a better place to be in. Being able to mentor - When new employees come in an IT company, it is the responsibility of an IT professional to train them to develop them to their level. Problem solving - When you are in an IT firm, it is essential that you have good presence of mind when it comes to solving problems. You should be able to react to a given problem immediately to solve problems that come your way. Patience - Staying calm in frustrating situations is very essential because being in an IT industry you will be facing deadline problems. In order to succeed, you need to be patient while handling problems. Brochures are the oldest and most reliable marketing strategy. A well designed brochure can help you make leads, however, a poorly designed brochure finds its way into the trash. Here are some simple tips that will help you make great brochures. When you are given the task of designing a brochure make sure you understand your business and target customers thoroughly. This is an essential step because it helps you decide the kind of brochure you need. 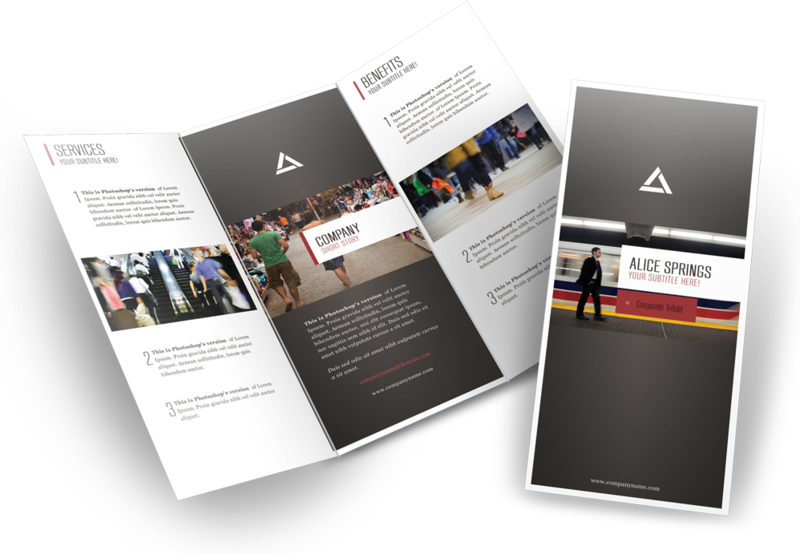 Your brochure design should match your campaign. All brochures need to be folded in some way or the other. Since they will be made in 2D format, it is very essential for you to be imaginative in determining how the folds will affect your design. When you know your campaign and target audience it is time to play with colors. Let your creative juices flow through your veins and onto the canvas. 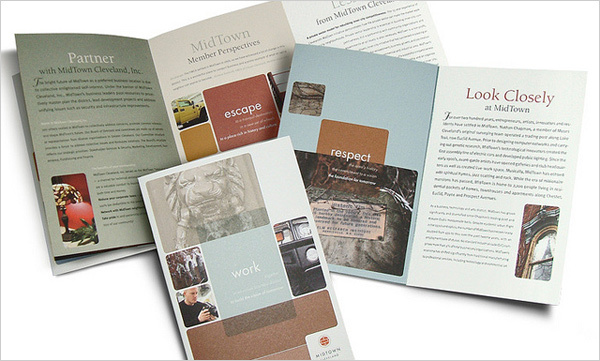 A unique brochure will keep your potential clients engaged. Use bold designs wherever necessary and be subtle if you want a classy and professional look for your brochure. Some of us tend to get carried away with the content. 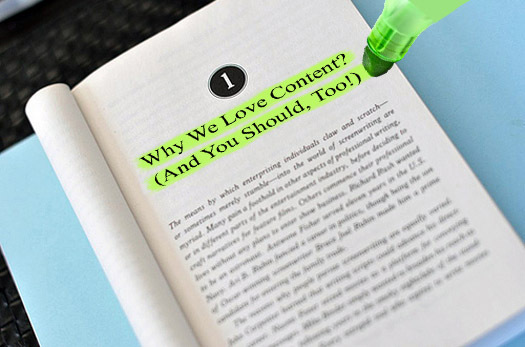 Make sure you keep your content precise yet interesting to keep your readers engaged. Your content should complement the design of your brochure. Do not write long essays that seem to drag at some point. Brochures can be printed on various paper weights. Lower weights are cheaper but it also affects the final look of the brochure. For corporate brochures heavy paper weight gives a more polished look. Paper weights, binding and folding will have an effect on the look of your brochure. There are plenty of templates available on the internet these days that makes it easy even for non-designers to create beautiful brochures. So just get out there and start exploring! Design and content are both equally important while creating a good website. While good content gives you clarity and information about anything through website, a good design is what attracts people in the first place. Here’s where a designer comes into picture. Yes, developers too can design but a professional designer will make a difference. A graphics designer designs your website by adding some very creative and eye catching graphics, at the same time ensuring that the page does not take long to load. Whenever a page loads, people first notice the logo, header and navigation menu. A graphics designer attracts attention with beautiful designs. If the text is truly informative but dull, people may not even care to read it. It is necessary to present the text properly by making use of graphic elements like bullets and suitable images to keep the viewers engaged. Graphics play an important role for highlighting any special offers because it helps draw attention of the visitors. It is important to use the graphics in a webpage wisely. Too much use of graphics can make it look dull. The size and use of format for the graphics should not compromise with the page load time. Experienced graphic designers know how to use catchy graphics that load fast. A graphic designer knows how to use graphics technically so as to help in SEO as well. I think I have put across the importance of graphics in websites. It is necessary to hire a graphics designer for your company if you have not yet. Being a pro in this field he can make catchy designs and can apply several techniques to use them on a webpage. If you find this blog post helpful kindly let us know in the comment section. WordPress is an open source tool for creating websites and blogs. It is by far the easiest and the most powerful content management system which is written is PHP. WordPress is popular among people who love blogging and designing. WordPress provides some inbuilt themes and plugins which are customizable. Now the question is what are these themes? WordPress themes provide skin to your website or blog. These themes present your idea to your visitors. WordPress themes can be rendered as it is but if you have a brand or your own design you can customize the theme accordingly. There are various themes which are available. They are either paid or free. The cost of a theme depends on the level of design and customizability of the website. Free WordPress themes are available but because they are free, they may be common. If you wish to address a small audience then it is okay to use a free theme. However, if you want to address a large crowd and publish your website your way you may want to purchase one of the paid themes. Can you build your own themes? Understanding WordPress is very easy but using it to create a website is a big task. But because it is open source and its documentations are available you may get all necessary help for building your own websites. Helps people know what you do! : A good content gives the visitors exact idea of what you do. What keeps visitors engaged is quality of your content. Proficient writing has the capability of converting potential customers to customers and attracting more customers. Fills up the void! : Imagine a perfectly garnished dish but without salt. Will you like it? No! Then do you think the visitors will like a well-designed site without content? Designing is essential for a website to make it look attractive but some spaces look empty without suitable content. Search Engine Optimization: Good content is not only appealing to the customers but also to the search engines. Good SEO strategies if implemented properly can help improve the rank of your website. SEO mainly focuses on keywords, so a good content with proper keywords can increase the flow of customers and help improve your business. Improved ROI: A website is an important asset for any company because it is the 1st to communicate to the clients. So, good content is necessary for the potential client to understand your services. Internet is the cheapest and the fastest way to let the world know about you. Thus, good content increases your ROI. For a website to be successful one needs to pay attention to all aspects of website development like –web designing, content quality and web development in order to increase the number of visitors. Why is JOOMLA preferred so much? Joomla is a free and open source content management system for publishing web content which had its inception back in 2005. It is written in PHP and is built on MVC (model-view-controller) framework. It uses various object oriented programming concepts and techniques. It is compatible with database like MySQL, MS SQL, or PostgreSQ. It includes different types of features like page caching, RSS feeds, news flashes, blogs and language internationalization. It is necessary for a website or application to be user friendly because not all users will be belonging to a technical background. JOOMLA provides a very simple technical system to operate the portal on frontend and backend. There are various built in themes which allow easy customization. 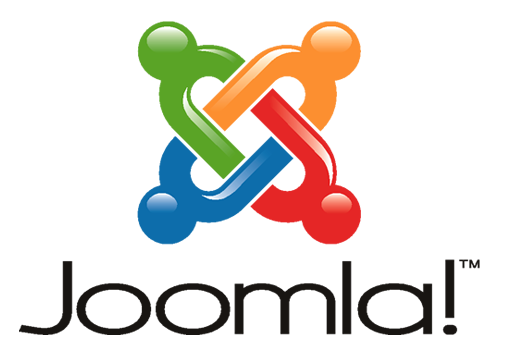 JOOMLA web portal allows us to interact and communicate with an infinite number of members. It is beneficial for any business whether small scale or large. Joomla is built using MVC design pattern, which is a good news for developers because it allows the developers to concentrate more on development rather than worrying about how it would look in the front-end. Online portals are expensive and they require higher maintenance in the long run. Everyone is moving to Joomla for developing online portals because of its low developing and maintenance cost. Joomla also wins over other online portal development systems in terms of features and benefits. Joomla provides highest security to its users. The security system can be customized as per specific requirements. Websites, and web portals with Joomla content management system can be secured against hackers by making simple changes. This is why the developers do not require additional security systems for Joomla sites. The administrative interface allows the users to operate on intranet or internet easily. Joomla sites have shopping carts integrated in them which makes it easy and less time consuming compared to other CMSs. After the site is ready to use the administrator can control each component of the website. Joomla sites and applications are highly responsive and compatible with different web browsers and operating systems. What makes Joomla so user friendly is its extendibility and growth over the years. It is the modern world CMS that the technological world needs today. Before getting into installing WordPress plugins, let us know what WordPress plugins are? WordPress plugins help you extend the functionalities that are already available in WordPress. Plugins offer custom features so that each user can personalize their site as per their needs. After knowing what a plugin is, you may be curious to know why WordPress plugins are essential. Themes are already there to provide look and feel of a website, so what do plugins do? As mentioned earlier, plugins add new functionalities to the theme and extend it. It is mainly used for customization purpose. Click on Plugins and then click on Add New. A new screen with list of all plugins will be displayed and will allow you to filter by criteria such as "Featured", "Popular", "Recommended", and so on. From here click on Install Now. You will immediately be taken on the Installing Plugin screen and your plugin will be downloaded and installed. You will be given the options to activate the plugin or return to the plugin installer page or activate, deactivate or delete and manage the installed plugins. You can purchase plugins from the WordPress repository or you can purchase it from an external vendor or you can even download it from another site. The plugin comes in a zip file. Log in to WordPress and click on Plugins. Then click on Add New. You will be able to see an Upload Plugin link at the top of the screen just beside the Add Plugins title. You will be taken to a page that asks you to upload the zip file. Before installing the plugin to your server, locate the plugin zip file and extract the contents on your system. Connect to your server with appropriate credentials via S/FTP and reach the wp-content/plugins directory. Upload the folder to the directory and log in to WordPress. You shall find the uploaded plugin in the Plugins section in the Installed Plugins menu item. From this list activate the plugin by clicking on Activate link.  2013 ©Harptec Ltd. All rights reserved.